The first news post on the blog for 2016! Below are some highlights, but the full post is available on our discussion board, here. This is our first monthly update for 2016, and since we skipped December due to the Holidays, we’ve got a lot to go over! New Amora Gem production facility: We are all moved in to our new manufacturing facility and the larger size and customizations done prior to moving in are paying off. New photos for Amora Gems: As I mentioned in the December updates, we’d been working to have our Amora Gems photoed in some very high end photos. I’m thus pleased to show you all the photos for the Amora Ultra, Cushion, OEC and Asscher. Of interest, after posting this photo on our Facebook page in early December it spread rapidly and received nearly 32,000 likes! Missing of course is the Amora Gem Princess and the AVC and Oval – we have no inventory of those and so didn’t have any to send for photos. Amora Gem Inventory situation: Unfortunately we continue to have insufficent production currently to meet demand. Demand seems to have increased so that we are actually facing near all time lows in terms of total inventory available. We are working as hard as possible to get TIGER completed and into production as that will be the key for increasing total production. For reference, here’s our Amora Gem Ultra inventory page. Amora Gem melee sizes: There have been more inquiries about this so a quick update – we do have a nice range of rough sizes for melee (i.e. 3mm or .10ct sizes, .15ct, etc). Unfortunately only TIGER can process these small sizes so I’m not expecting we’ll be able to cut this rough into finished Amora’s until early Summer. However, it is very much on our planned production as soon as we can get TIGER in and get caught up on center stone size production. I cannot believe the beauty of the the amora gem. 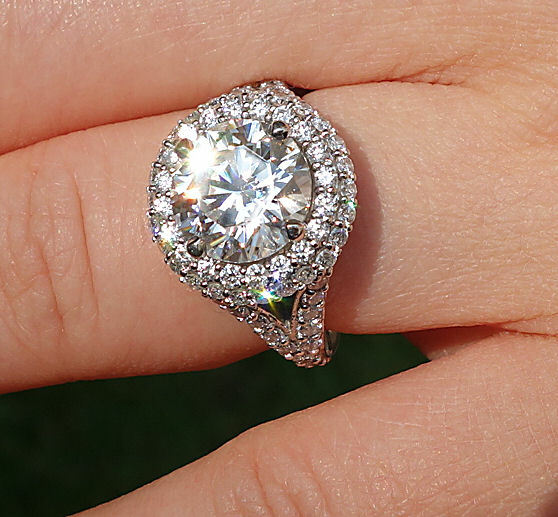 I have a round 1.34ct D VS1 and it’s absolutely gorgeous. Diamonds pale in comparison when you put it near the amora beauty. If you have any reservations about purchasing the amora – don’t. 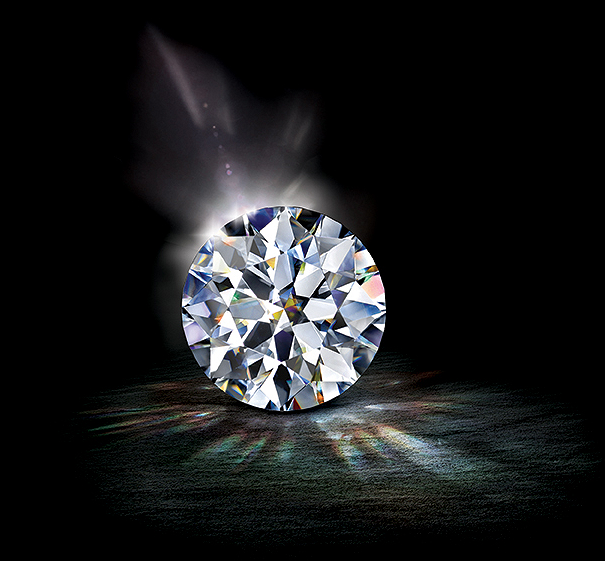 I have moissanites, ashas and diamonds and the amora gem surpasses them all in brilliance and beauty and of course, cost when you take quality into consideration. Diamonds are common and a waste of money in my opinion, i will never buy them again. 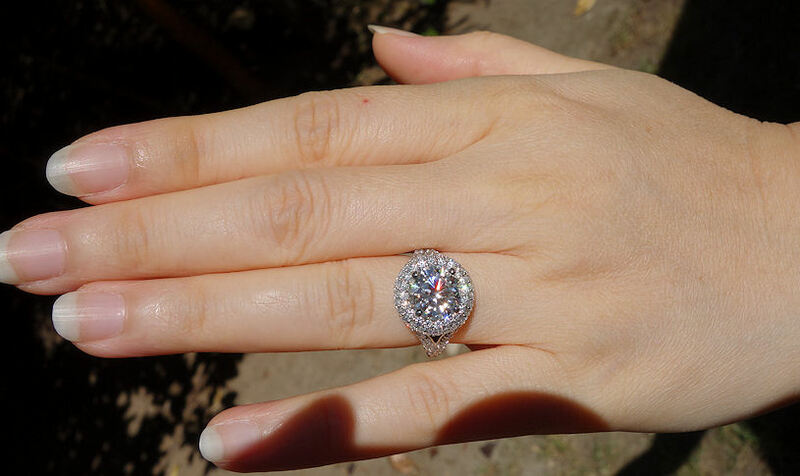 I am thinking of upgrading my ring to a larger ct stone, in a radiant cut but I will have to wait for the restock. Les – God bless you for creating this beautiful stone. And thank-you for NOT marking the price up like the diamond industry. I have a beautiful ring that I didn’t have to take a loan out for. Superb! Thanks very much to this customer for taking the time to write! I forwarded this review to our staff as well since it’s nice for everyone involved to see your work making other people happy! Big changes for our message boards – moved to talk.jewelry! We’ve upgraded our message boards to all new software and spun it off into it’s own website – talk.jewelry. The talk.jewelry address may look a bit odd, since you are probably only familiar with .com or .net. The .jewelry is a new extension for jewelry related sites that just became available in April of last year. It functions the same as the .com in the web address. BetterThanDiamond.com now has extended SSL certificate: As we steadily grow, we’re going through and improving every aspect of our website. One of these improvements was to obtain what is known as an “Extended SSL certificate”. This is visible as a green highlighted section in the browser bar showing the company name and country, rather than just the standard lock icon. To get this, you go through a series of various checks where they verify among other things – are you located where you claim, do you really have a company, do you really own this website, etc. etc. Basically you have to provide independent verification for many aspects of your company. Progress continues on BTD’s new website: We’re continuing to work on an all new website for our ecommerce site. We’ve currently setup a system with arguably the world’s fastest server stack and are currently moving over all our data and products into the new site and store. Ideally we’ll have this ready to go live in March. Lots more to do but it is being very actively worked on! Good news for Elephants – price of ivory drops 50% in China, poaching in Kenya drops by over 50%: While I don’t have any new photos of our sponsored Elephants Amora or Quanza, I am happy to report that the overall environment for elephants is improving from what were terrible poaching stats for the past five years. Two drivers of that change – the price for Ivory in China, the world’s largest consumer of poached Ivory, has crashed over 50% this past year. High prices of course provide high incentive for people to poach elephants. And related, poaching in Kenya has declined over 50% the past two years due to increased policing, sniffer dogs, harsher jail sentences and as noted, the large decrease in price for Ivory. That’s it for our first update of 2016! Have a great weekend and a great month and see you at the end of February, hopefully with good news about TIGER! Amora Gem Ultra updates: We have some new thinner rough at last and with TIGER nearly ready, we are hoping to finally have available sizes as small as 3mm in the Ultra next year. That would allow full Amora Rings (i.e. Ultra center *and* Ultra sides instead of mined diamond sides for rings) for the first time ever. New profile photos for our entire Amora Gem family – sneak preview: I’m pleased to share with you the first ‘draft’ photo of our Amora Gem Ultra. The main purpose of this photo was for us to review and approve that we liked the general style and layout, so that’s why it’s a draft photo. However, I thought it came out really well already so this may become the final photo. We’ll soon have photos of this type for all of our Amora Gem family, now that the mini-studio they created to take these photos is ready. These should be ready over the next few weeks and so we’ll certainly show off the final versions in our next Friday update. First Amora AVC’s ready – photos, videos and more videos: And now we come to one of the most exciting parts of this months’ update. As of about a week ago, we did complete our first few Amora Gem AVC’s and they came out extremely well. We’ve only completed three AVC’s at this point, so the AVC won’t be in full production until January. Website now running on the latest and greatest IP protocol…up to 50% faster! As of this morning, all our websites (BetterThanDiamond.com and DiamondBistro.com) have now been upgraded to the newest version of the internet protocol. This has resulted in roughly a 50% speed increase – you should be able to see a noticeable speed increase when browing/using our sites! 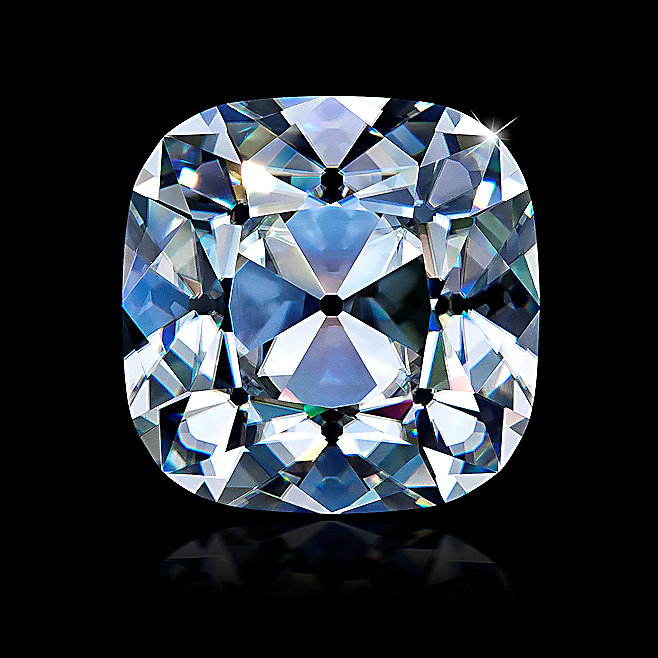 Takara 1.03ct, D/IF, Ideal cut video: We just received the studio photo for our ‘most perfect’ Takara diamond to date. This is of course a rarity in that it is Type IIA, or ‘Golconda’ type diamond, and it is also our first ever D/IF, Ideal cut Takara. Effectively it’s a combination of both atomic perfection (ultra pure) and gemological perfection – D color, Internally Flawless, all in an Ideal cut. 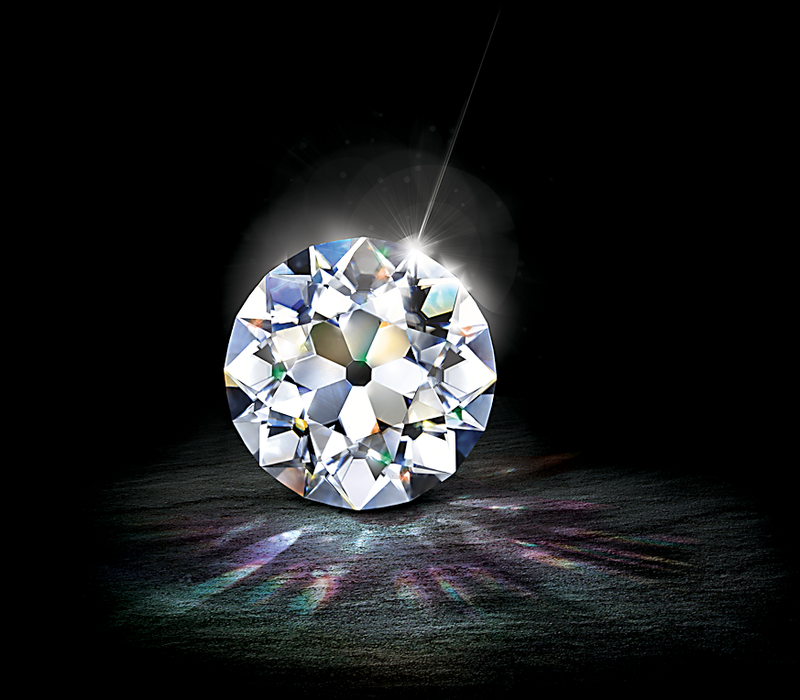 Mined diamond trade hitting turbulent times? It appears that DeBeer’s never ending price hikes have finally come to a head with cutters and polishers now reluctant or flat out refusing to buy. The reason – rough diamonds now cost more than simply buying a polished diamond, meaning there is no profit left for someone to buy rough and cut and polish and sell. Regardless, it seems the mined diamond world is hitting some rough waters for now, and we’ll try and provide updates of any future big news on this front. To see all the news and updates, the full post is available on the BetterThanDiamond discussion board, here! US market = fully free on Monday, August 31st! The 20 year, innovation suffocating, patent held by CTHR that blocks most major crystal/family members of Silicon Carbide when cut as gems, will fully expire on Monday, 8/31. The Moissanite tyranny is at long last over. This blog was originally started on 11/11/11 when we showed you the very first Amora Gem ever, and we’ve had a nearly four year journey since then but the moment that we’ve long awaited is upon us! As stated in that original blog post – Amora Gem will be our primary focus going forward for BTD, and our Amora Enhanced Moissanite will no longer be produced now that the US patent has ended. Amora Gem Oval cut arrives! We finished cutting the first production set and in our opinion, the ovals came out even better than expected. and our Amora Gem oval in a studio video! US Patent and Trademark office approves our “Ultra Hearts and Arrows” Trademark! After over a year of legal work, I’m happy to announce that “Ultra Hearts & Arrows”, our unique cutting that maximizes the fire and brilliance for Amora Gem, is now an official registered trademark. Thus we can now use the ® mark signifying our exclusive use in the US. Note that this is the trademark for the name, and not our patent -the Ultra H&A patent is still in process, but another significant step for highlighting and preserving our exclusive Ultra H&A cutting! I purchased a 1.85 carat, F color, internally flawless Amora Gem in April to propose to my now finance during a Mediterranean Cruise in June. I had it mounted on an 18 carat yellow gold ring. I totally surprised her when I proposed on her birthday while at sea between Dubrovnik Croatia and Venice Italy. Everyone who’s seen the ring is in awe over how nice the Amora Gem looks and no one simply no one has any idea it isn’t a diamond. 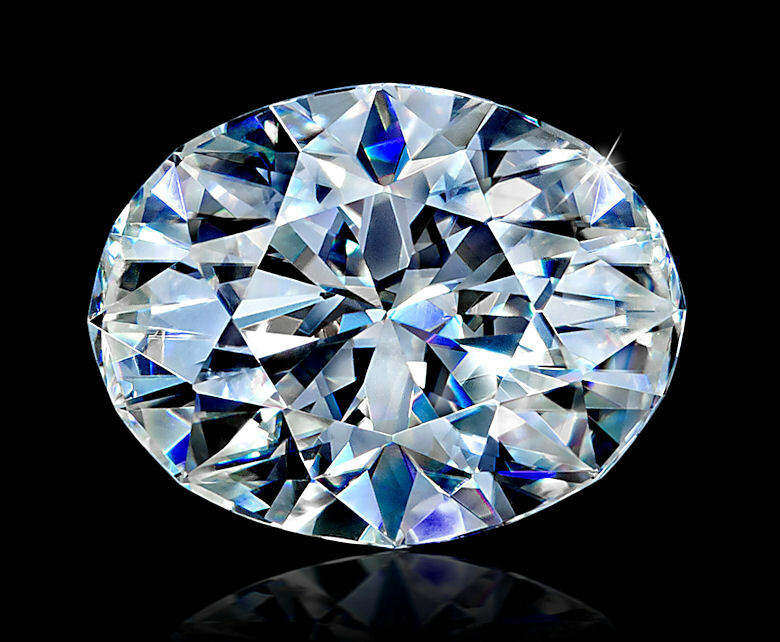 The jeweler who mounted the stone was amazed, he couldn’t tell it wasn’t a diamond. 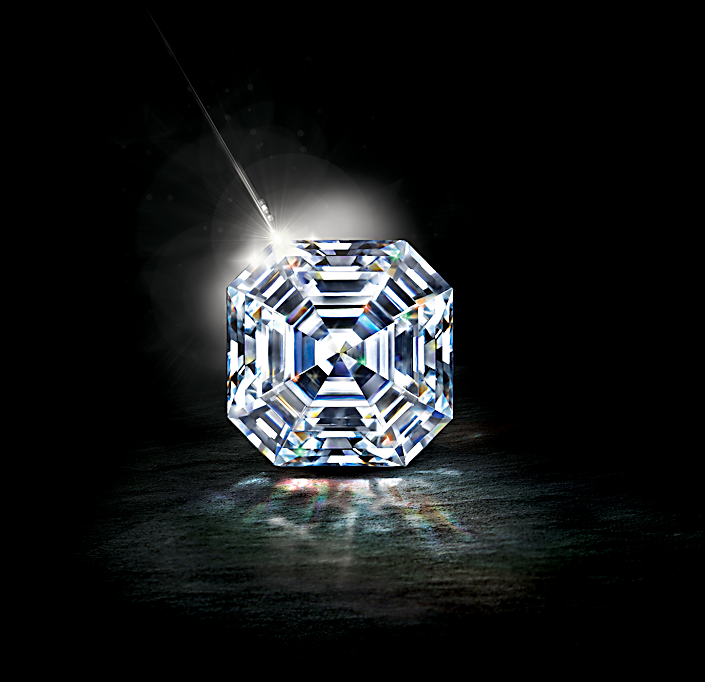 He pulled out a similar sized diamond to do a comparison and he could not tell the difference, obviously he was very careful to keep them separated. The diamond was over $35,000.00 while the Amora Gem was just over $1,200.00. You can’t go wrong with an Amora Gem you really can’t. The amora gem is the best jewelry investment I have ever made! Thank you, thank you, thank you!! I received my Amora Gem months ago. I absolutely cannot tell you how happy I am with it. I have never seen anything like it. I took it to a jeweler, compared it to his real diamonds and honestly, there was no comparison! He is remaking my ring and he asked if I would like to take the stone (Amora gem) with me until he is ready to set it. He said he didn’t want me to worry about the safety of the stone! He thought it was real and he looked at it under a loop! Thanks very much to both of these customers for taking the time to share their feedback! Amora enhanced Moissanite production comes to an end: After four years of production, and with the CTHR patent finally coming to an end, we’ve done our last production run of Amora enhanced Moissanite. As noted on the very first entry in this blog back in 2011, Amora enhanced Moissanite was only a stop gap product forced because of the US patent, and we wouldn’t continue it after the patent expired. Takara lab diamond pricing – averaging 1/3 the equivalent mined diamond: I’m also happy to note that our Takara’s are now averaging roughly 1/3 the price of their equivelant mined diamond, while at the same time being purer and harder than nearly all mined equivalents. This is because Takara’s are ultra-pure, and thus at the atomic level, a more perfect diamond and that is why they end up both harder and clearer in terms of physical properties. As the sizes get larger then the pricing vs. mined gets even better as the 2.40ct for example is roughly 1/4 it’s mined equivalent. Asha restock: While Amora and Takara have been in the spotlight, Asha continues to sell steadily and we just finished a large restock of most sold out sizes. This included H&A rounds, Cushions and Princess. 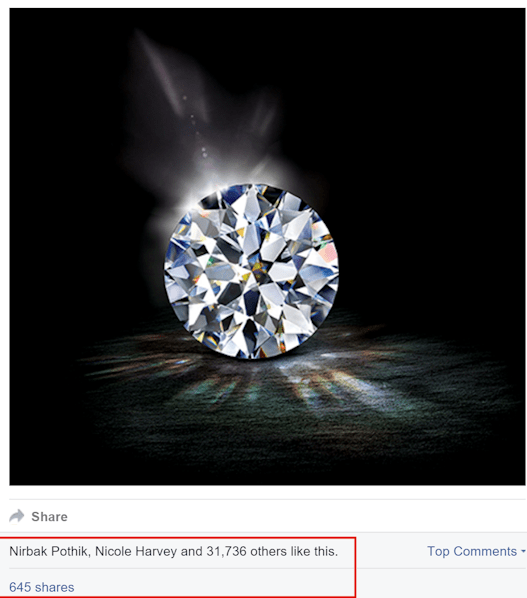 Asha photos continue to be stolen and used around the world – humour: After the news about our Takara lab diamonds, we received an email from a diamond cutting house that was interested in seeing if they could do the cutting for us. They mentioned their capabilites, how they could consistently do triple EX rounds (Excellent cut, polish, symmetry), etc. I then pulled up their website and what’s on the home page – two examples of their ‘diamond cutting expertise’ are in fact simply stolen Asha images! Anyway, the testament to how well our Ashas are cut is that the photos of the Ashas are perpetually being used by various diamond dealers, JCK, etc. (illegally) to show as ‘high end mined diamonds’. Frustrating but at the same time a global compliment to our pursuit of cutting perfection for all of our diamond alternatives. The full post with all the news and more detail can be found on our discussion board, here! 2015 is of course ‘the’ year for Amora Gem as the US market will shortly be open in full. Record 2014 sales for BTD. First and foremost, I wanted to thank all of our customers for your support and feedback this past year. Given that people ‘vote’ for products with their purchasing dollars, then our growth can be viewed as feedback that we are producing and offering lab grown gems that a growing number of customers are pleased to purchase and wear. Ultra inventory – restocked < 1.50ct sizes, but sold out again: We have been working hard to produce more Amora Gem Ultra’s below the 1.50ct size, but even with the recent restock of .80ct – 1.25ct, those sold out within a week and we are currently sold out again for the past two weeks. We are shifting some resources towards expanding the < 1.50ct sizes and hope to have some much larger restocks in February. 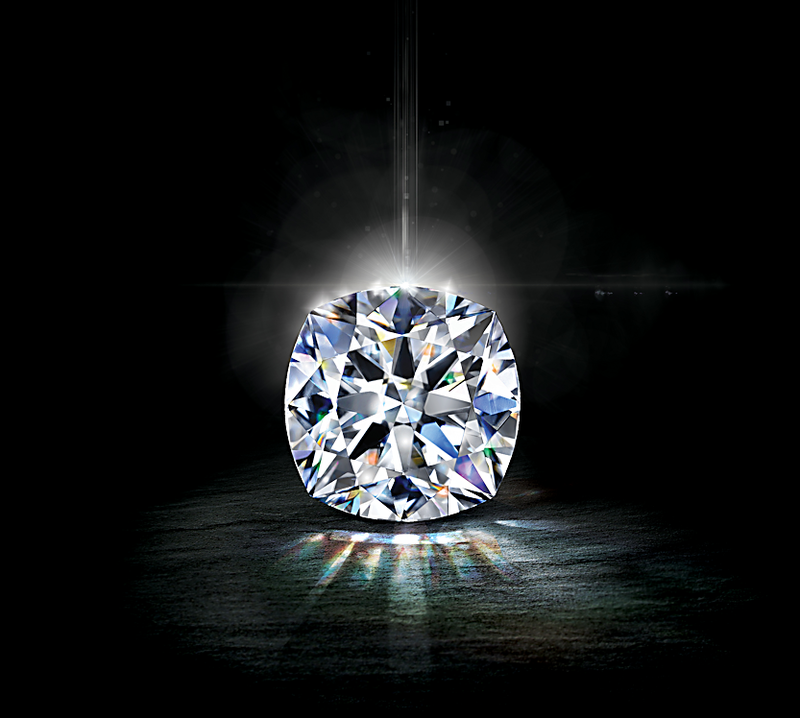 Note that we also expect to have more 6mm range (.75ct) in February as well. We’ve setup an improved notification system directly on BetterThanDiamond.com now that will supercede our old system on AmoraGems.com (note- you’ll still be notified if you signed up already via AmoraGems.com!). We are planning to expand it next month to handle requests for other products (Asha, Takara, Amora Enhanced) as well. Amora Cushion Explosion: We’ve been able to slowly expand our Cushion production, but what has been a surprise is the amount of demand for the Amora Gem Cushion cut. It’s rare that a restock lasts a single week out for sale, and further,the notification list is now twice as long for Cushions as for the Ultra. As a result, we are expanding Cushion cut production for February and hope to be able to stock a spread of sizes from 7mm – 11mm over the next four weeks. Amora Enhanced Production continuing for now: Amora Enhanced Moissanite continues to see demand, so for now we are continuing production. Currently we have more 7mm and 7.5mm in progress. These should be ready near the end of February. The full post, with much more news and more updates can be found on our discussion board, here! Amora GEM 7mm size in stock! Words cannot account well enough for describing such a beautiful gem. After months of looking at diamonds for my engagement ring, I was never satisfied until I found the Amora Gem, and it has certainly lived up to my expectations. It is exquisite. It is extraordinarily clear, white, and has more fire/sparkle than I could have imagined. I am so happy with my decision to get an Amora Gem – a diamond just cannot compare. But the big news is that we now have the 7mm size Amora GEM in stock and available for immediate purchase with no waitlist code needed! We have also added more inventory in the 8.5mm, 9mm, and 9.5mm sizes, again, available for immediate purchase. In the 9.5mm size Amora GEM, we have one very, very special stone available – graded at both D color, and Internally Flawless! Our website shows live inventory so only the sizes and options shown are what we currently have available. Do note that we currently cannot ship the Amora GEM to the countries listed here. The Amora blog is back after a hiatus of several weeks. Below is a preview, but the full post can be found on our discussion board! Happy Friday – long time, no see! First production, First sales!!!! 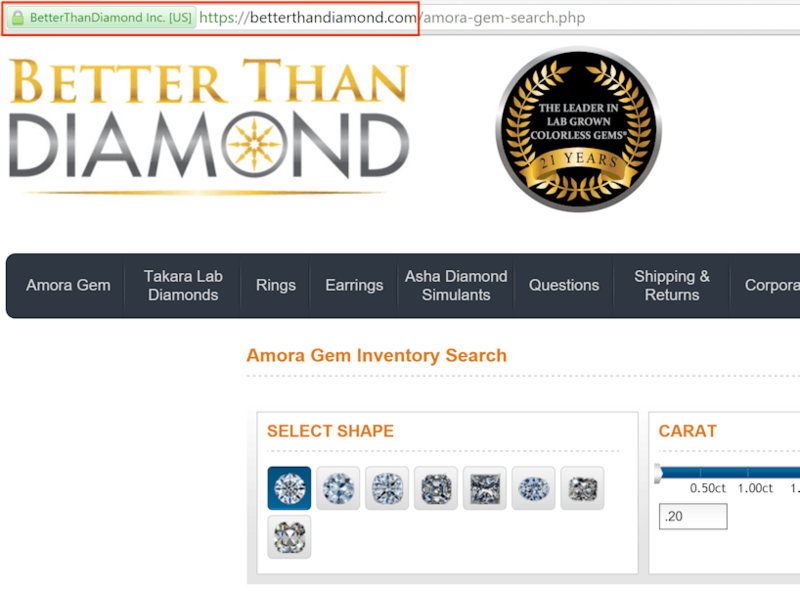 Amora GEM is now – real! We’ve not only completed our first production batches of Amora GEMs, but have already had a number of sales to customers around the world on our waiting list. Thanks very much to that customer for permission to repost their Mum’s feedback! We are hoping that the 8.5mm size may go off of wait list status within the next two weeks, meaning those would be the first available ‘ready to order’ Amora Gems. The other sizes, especially 8mm, will be on wait list for some time. For reference, you can add yourself to the waitlist at http://amoragems.com under the Notify Me menu. Please note – we’ve had some customers trying to ‘cut in line’ so to speak by borrowing someone else’s wait list code and ordering, among other methods. Please don’t do that. Every order is scrutinized given that we have to verify each one to ensure there is not patent issue to the shipping country and we will bump you to last place on the list if you are caught cutting. That’s not fair to those customers who have signed up and have been patiently waiting. Asha cushion restock coming: we have a large batch of Asha cushions and some princess in coating now and hope to have those ready within the next 2-3 weeks. The complete post (in two parts), with more news, details, pictures, teasers, and some science, can be found on our discussion board, here!